How to be Misled by Statistics: Much Ado About (Almost) Nothing! I promised to warn you about some of the ways you can be deliberately or accidentally misled by statistics, so you can guard against these tricks and so you can be careful not to inadvertently be guilty yourself. Here then is one popular misuse of statistics I see all the time. This is to exaggerate the importance of a minor change in something or a small difference between two things. This is often done by journalists trying to create a story out of a factual report which does not actually reveal anything very exciting. To build it up into a story, the journalist usually leaves out a lot of the statistical information or presents it in such a way as to draw attention to the selected element only. Of course journalists are not alone in this respect. Sadly, we all too often find politicians, advertisers and salespeople doing the same thing. There are three variations on this. The first way is to report on a large percentage change, or difference, without pointing out the absolute size of the figures. If a new medical treatment or “healthy diet” reduces your chances of developing a certain disease by 25% it sounds worth trying, even if it costs a lot of money. Unless you know that your original chances of getting the disease were only 1 in 40 million, meaning the improved treatment or diet reduced it to 1 in 30 million. So what? If a certain type of crime has increased by 50% it sounds as if something must be done and soon. Unless you know that the average number for several years was 10 crimes a year, and last year there were 15. Is this something to worry about? The second way is almost the opposite. It is to emphasise the absolute numbers without mentioning the percentages. If 100 people have complained about a product it sounds pretty bad. Unless you know that 100,000 people bought the product last year, so only 0.1% had anything to complain about. If an additional 20 people were killed in industrial accidents last year, you might think we were losing our obsession with Health & Safety, if you did not know that the total number killed in any year was several hundred. The third way is to fail to mention the size of “normal” fluctuations in whatever is being measured. If the number of motor accidents has gone up 10% in the last 3 months it sounds like a recent road safety campaign was a failure. Unless you know that the number varies by up to 15% from one month to the next almost all the time. Two very severe winters in consecutive years can sound like the start of a new Ice Age. Until you look at the fluctuations in temperatures between years over a long period and see that we get bad ones every decade or so. So always look at both the percentage differences and the absolute numbers before deciding it is time to shout “don’t panic!” or to demand “action”. Are You a Lion or a Hedgehog? Over the last year I have listened to quite a few “inspirational” speakers, some of whom I have found more helpful than others. One speaker said that there are two kinds of people in business: lions and hedgehogs! His point was that when a hedgehog is threatened it rolls up into a ball and waits for the danger to pass. This is like a lot of managers who go on the defensive and resort to well-tried methods of survival. A lion by contrast takes the risk and goes on the attack. 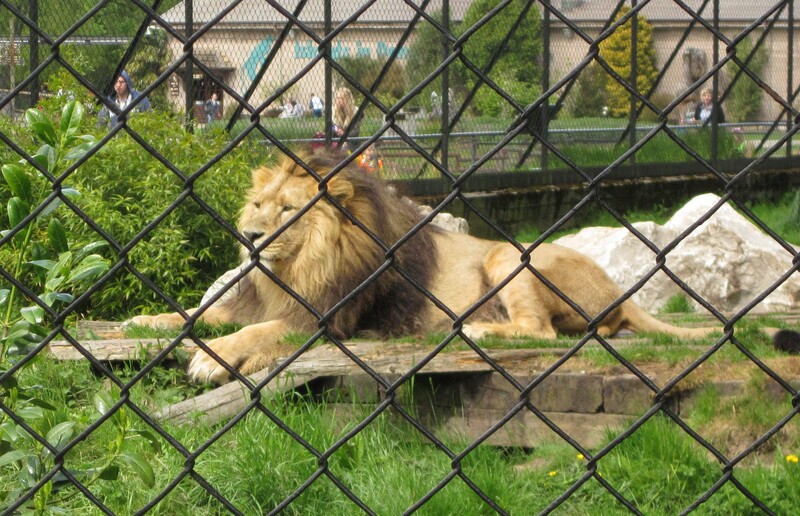 It was suggested that we all need to be like lions to seize every opportunity and tackle our problems dynamically. The speaker did not seem to know that lions once roamed wild in this country but became extinct many thousands of years ago, probably due to climate change. The last big cats to survive here were sabre-tooth tigers, which died out around 7000 BC. Some threats they obviously failed to deal with. On the other hand, I saw a hedgehog only last week. It looked quite well. Yet hedgehogs have lived here long before any other mammals! So they must be doing something right. Perhaps we need to be prepared to behave like hedgehogs, at least sometimes, whilst recognising that there are some circumstances where the lion’s approach is called for. I am not saying that it is always wrong. It is not a good practice to adopt the same tactics for every situation. Perhaps if you find it hard to adapt, especially if you cannot step back from a situation and take an objective view, you might benefit from getting some advice from an independent consultant. Can I Help You To Trust Statistics ? In Risk Management we use statistics a lot. This is something we have in common with people involved in medical and other areas of scientific research. Unfortunately, however, we are also in the company of politicians, journalists and salesmen: groups generally regarded, rightly or wrongly, as untrustworthy. That is probably why so many people do not trust statistics. Now, there are two reasons why I tend to be sceptical of statistics or anything else, until I have good reason to believe. Firstly, I am not a very trusting person in my nature. My patron saint is really St John the Evangelist but some people think it should be St Thomas the Doubter. Well, that is fair enough, because, like Thomas, I am usually sceptical, but am open to being convinced by reason and evidence. (Remember that Thomas eventually believed in the Resurrection when he had seen the risen Christ with his own eyes). Secondly, I have spent many years in Internal Audit and also many years dealing with liability claims. I have come across many frauds, scams, and dishonest claims. Wherever there is an opportunity to make a dishonest penny, or several, there is always someone there to make the most of it: and if every claim I have seen for tripping on the pavement was true, you ought to see someone fall down nearly every time you go out! However, I do not distrust statistics in particular. Dishonest people use anything they can: facts, words, pictures, quotes, the Bible, and of course statistics. There are also many people who use statistics lazily and mislead others without intending to be dishonest, because they do not think clearly about what they really mean, or they have misled themselves into jumping to conclusions which the facts do not really support. find what works and what does not. Fortunately, we can avoid being misled when we know about a number of giveaways which I learned about a long time ago and have always found very useful. So I am going to write a series of articles showing how statistics can be, and often are, misused, so as to put you on your guard and enable you to sift the truth from the lies, and especially from the half-truths, and to help you avoid inadvertently misleading yourself and others. I hope you will find this fun, but it will also give you power. Lessons from the Great War: No.1 – Learn your lessons! As I have previously mentioned, I will be writing a series of articles about World War I and the lessons we can learn from it. Most of these will apply to many aspects of life, but I hope you will find all of them particularly relevant to managing risk. One of the most depressing things any study of that war will reveal is that almost all the countries involved persisted in repeating the same mistakes over and over again. (A practice which Albert Einstein defined, in another context, as evidence of madness). Here are just few of the more obvious examples. The French kept sending their cavalry to charge against machine-guns and rapid-firing rifles, with the same result, time after time, until they had hardly any cavalry left. This was, fortunately, one mistake the British and Germans avoided. The British, and most others, persisted in preceding every major infantry push with a heavy artillery bombardment. This invariably failed to do very much damage to the enemy, but mad the ground all the more difficult to cross, making the infantrymen easier targets for enemy guns. The overall approach of fighting in trenches and periodically trying to advance slowly in large numbers on foot, directly towards the enemy, was repeatedly unsuccessful. Winston Churchill called this “sending men to chew barbed wire”. Alternative tactics were almost always rejected. The introduction of tanks was resisted for a long time. So the first lesson from the First World War is to learn your lessons! Of course we all know the old saying: “if at first you don’t succeed, try, try again”. However, it should probably be interpreted as “try again, having learned the lessons of past failures”. What mistakes are you constantly repeating in your business, or in any part of your life? Would today be a good day to stop and think? Risk Management is all about ticking boxes? Unfortunately, many people really think that Risk Management is about compliance with a set of rules laid down by some external body such as your financial backer, your insurer, or someone you want to do business with, often as part of a tendering process. Of course we all need to comply with various rules, and provide evidence we are doing so, if we want to gain the associated benefits, but I find it very sad that some people do not see beyond that. Why? It would be much better if you could use the regulations as an opportunity. If you could see why the rules are there, and what lies behind them, and possibly do more than the minimum to comply, or at least make use of the information you have obtained in the process, to improve the way you manage risk. If you reduce Risk Management to a process, it becomes boring and soul-destroying, whereas it could be far more exciting and rewarding. If you concentrate on ticking boxes you are in real danger of missing the elephant in the room – the risk threatening your business which was not on the list. Therefore, if you find yourself in box-ticking mode, ask yourself whether this is because you lack imagination or of your boss does. If the latter, I sympathise, but suggest it may be your destiny to educate him! He would have been good at Risk Management. Who Wants to Stick Up for the Environment Agency? I Do! in the lSince so many people, including Eric Pickles, have been blaming the Environment Agency for the recent flooding, especially in the Somerset Levels, I thought I should point out that they seem to me to have acted quite correctly in the light of the information they had available and that hindsight is a commodity which is seldom in short supply, especially in Fleet Street and Westminster! All government agencies, and all the rest of us, have to make decisions about the allocation of resources based on costs and foreseeable risks. There would have been plenty of criticism of them if they had either overspent their budget or allocated more money to the Somerset Levels at the expense of other places, especially if the floods had occurred elsewhere, or not at all. Would anyone really expect them to plan everything on a “worse-than-worst-case-scenario” basis? If you did that in your business or in your private life, what would the consequences be? I would certainly not advise any client to operate on such a basis, but rather on the basis of what is “reasonably foreseeable” – and most people are reluctant to spend money on that basis! How could the worst weather in over 200 years be in any way regarded as something we should routinely plan for? As Jesus said to people accusing a woman of adultery:”Let he who is without sin cast the first stone”. Anyone want to take Him up on that? I have recently linked up with Metanoia Business Services (www.metanoia-business-services.co.uk) to gain the training and support they can offer me in providing risk management advice on the risks associated with Data Protection. These include the regulatory and reputational risks. Fortunately for me the services they, and I, offer are not primarily about IT, because most data breaches are caused by human beings, but IT managers and service providers are included in the category of people who need to be aware of how the the regulations and the risks affect them, and how they can protect themselves and their clients and colleagues. We are putting on at least two seminars. The first is on Friday 7th March at the Warrington Business Centre and is aimed at a small number of people who will want to become involved as business partners so they can offer these services to their clients. The second will probably be in April and will be aimed at potential clients. Watch for more information. Or give me a ring on 01925 445215 or send me an e-mail at john@jhmriskmanagementservices.co.uk if you can’t wait. What Could Landlubbers Learn About Risk Management From Sailors? Some people think that Risk Management always means taking the least risky options, and that that can be very bad for business: not only can it be expensive, it can slow down progress and also lead to missing opportunities. I have always believed Risk Management to be about balance: balancing risk against cost, or balancing one risk against another. The same is true in many aspects of life. I remember a pastor in Wales who used to illustrate his sermons with items from everyday life, often drawn on his memories of life back in his original home on Jamaica. Boats and the sea often featured. He once explained that a good sailing boat should have the right balance between keel and sails. The bigger the sails the faster it could go, and the bigger the keel the more stable it would be in the water. Too much sail in relation to the size of the keel would make the boat liable to capsize, whilst too much keel in relation to the sail would make it slow and cumbersome. He was applying this to the Christian life, where the keel is the Bible and the sail is the Holy Spirit, but it has many other applications. The parallel with risk management strikes me as remarkable. The sails could be the risks you might want to take in order to grow your business, whist the keel could represent the risk control measures in place to prevent things going badly wrong. You can drive faster in a car with better brakes. Do not assume all risks are to be feared and avoided, but do look for reasonable control measures to keep your business on an even keel. The bigger your ambitions, the more important it is to have the right safeguards in place. What Can We Learn About Risk Management From a Harris Hawk? I am no ornithologist and I have forgotten the name of the bird on the left. If you know please tell me. 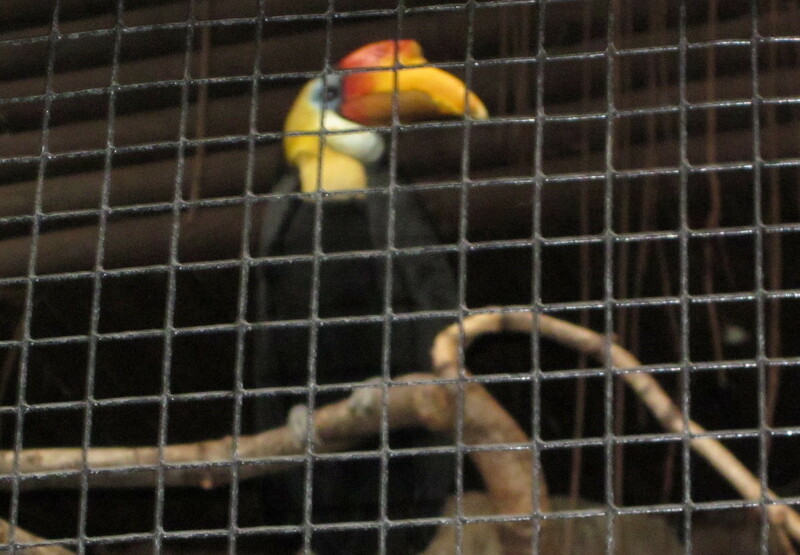 The one on the right is Hornbill. 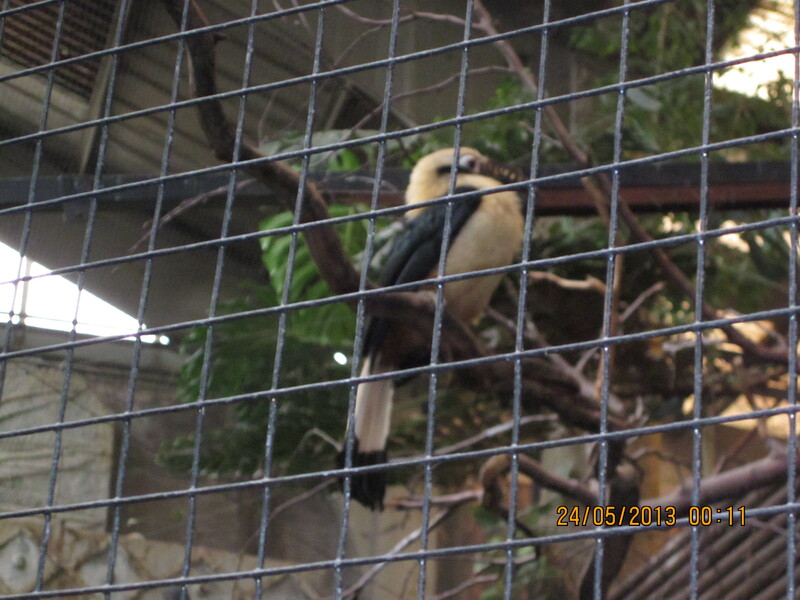 Perhaps you know what species of Hornbill? I have not got a picture of a Harris Hawk, but anyway I think these two are nicer to look at. I used to often see a couple of Harris Hawks belonging to someone I knew. I was impressed with their intelligence and character as well as their aerobatic abilities. The thing I found particularly interesting about them, however, was that they are as far as I know the only birds to hunt in groups. Sometimes one will land and chase the intended prey along the ground so as to flush it out for the others to catch! They say humans got to being the top predator on Earth by our ability to co-operate. You would think we knew how to do it by now. Don;t get me started on politics! I just want us to think about management and especially risk management. Collaborative enterprises are very much encouraged these days, and some are successful, but all too often we fail to agree on who is responsible for what, and as soon as anything goes wrong all co=operation flies out of the window like a bird. We need to be able to manage our own risks and someone needs to manage those of the partnership. We also need to be certain as to how our partner organisation manages its risks. Preferably before something goes wrong. We could do worse than study the Harris Hawk. Perhaps I could take up ornithology.